Description: Purchase a punch card for eight, 2-hour classes, to be used on any Saturday, 10 am – 12 pm*. 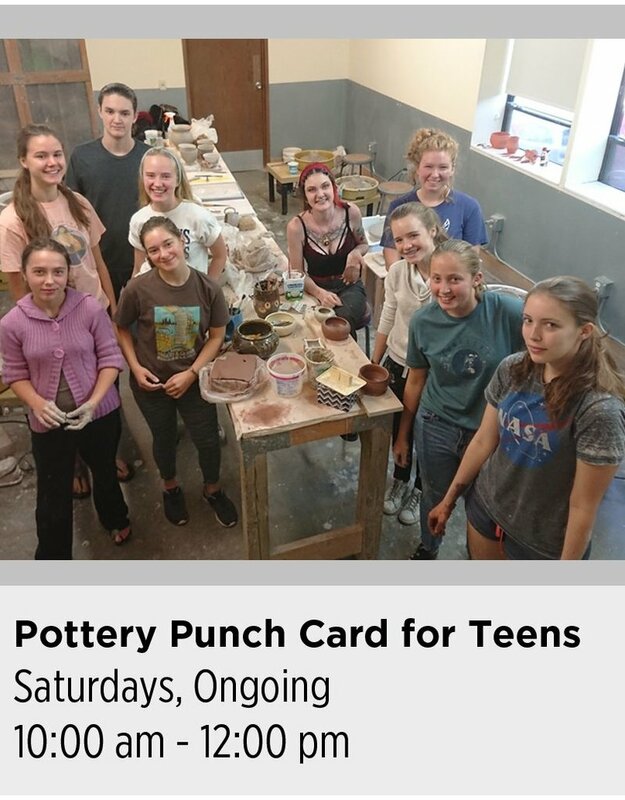 Classes will cover the fundamental techniques of throwing forms on the potter’s wheel and creating surface decoration, with varied demonstrations and projects for advanced students. Previous experience is not required. Students may attend on a drop-in basis. Wear clothes that you don’t mind getting dirty, NCC will provide the tools and the clay. Students do not have access to open studio time. For ages 13 to 17.